On Wednesday, August 8, 2018, the IRS published proposed rules on the 20 percent business income deduction that was created as part of last year’s tax reform law. The rules are a win for real estate because they make clear that broad limitations included in the law will not apply to real estate professionals. Under the new law, individual owners of sole proprietorships, including independent contractors and owners of S corporations, LLCs, or partnerships, can take the 20 percent deduction on their net qualified (non-investment) business income. The calculation will depend on income thresholds, what type of business you own, and how you meet certain wage and qualified property tests. But the basic structure is very favorable to you as a small business or independent contractor. REALTORS® were integral to the favorable interpretation in the proposed rules. The National Association of REALTORS® made a forceful case—both in a detailed letter sent on June 19 and in a face-to-face meeting with IRS officials in early August—that certain limitations on specified service businesses were not intended by Congress to apply to real estate professionals. And that’s the interpretation the IRS has ended up taking. NAR “met with [the Office of Management and Budget] and Treasury Department officials to discuss proposed rules outlining computation of the new write-off for pass-throughs,” Bloomberg News reported Tuesday. The new deduction is available for tax years beginning after Dec. 31, 2017. You’ll be able to claim it for the first time on the 2018 federal income tax return you file next year. Look for detailed NAR guidance by mid-September. It’s a complicated provision, and how it works for you will depend on many factors unique to your business structure and your income. 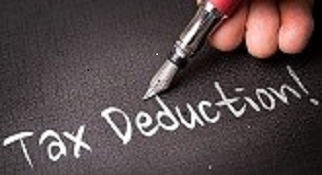 Consult with your accountant or tax attorney on how this deduction should be applied in your situation. For more information, read the IRS summary of the business income deduction, with a link to FAQs, the language of the proposed rules, and NAR tax reform resources.